Live Fair, one product at a time. Each year, on the second Saturday of May, Fair Trade supporters and advocates around the world come together in celebration of World Fair Trade Day. 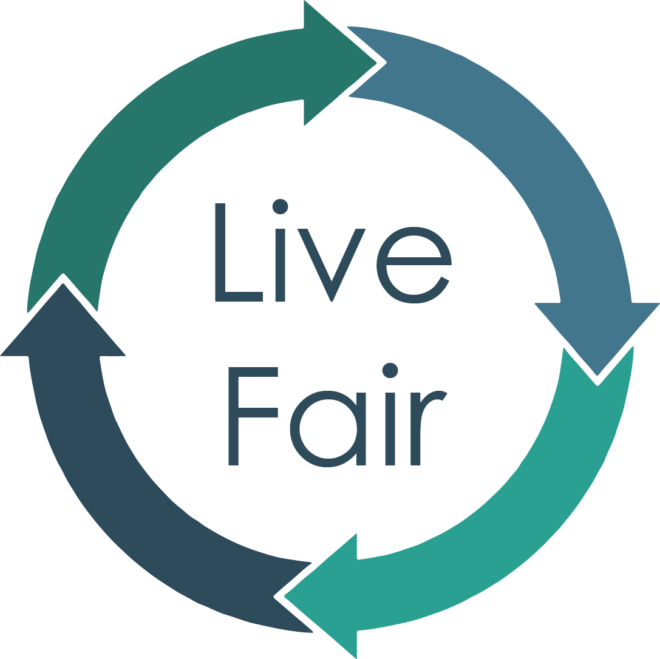 This year, the World Fair Trade Organization has chosen the theme Live Fair, one product at a time. Join us in celebrating the many small choices we make each day towards a more ethical and sustainable lifestyle. Looking for ways to get involved? We’ve rounded up a few local, national, and international programs right here. Plus tools and resources to organize your own celebration! You can support Fair Trade one product at a time. From breakfast to dinner time, there are many ways you can include Fair Trade products in your daily consumption. The World Fair Trade Organization has a list of recommended activities for your own World Fair Trade Day celebration, or show your support on social with #LiveFair. World Fair Trade Day is an inclusive worldwide festival of events celebrating fair trade’s contribution to the fight against poverty, exploitation, and climate change. This year for World Fair Trade Day, the Fair Trade Federation encourages you to #LiveFair, one product at a time. Purchase products from organizations committed to fair trade principles in FTF verified stores, cafes, or online. Here are just a few of the World Fair Trade Day celebrations taking place around the country this month. Are you hosting an event you’d like to share? Register your event on your campaign page, or share it in the comments below. Did you know that Chicago is the largest fair trade city in the United States? That Chicago is considered to be the epicenter of a growing national fair trade movement? For ten years, Chicago has hosted the biggest World Fair Trade Day event in the U.S. in Daley Plaza. This year, Chicago Fair Trade is organizing something bold, exciting, and new: A MAGNIFICENT MILE OF FAIR TRADE. To celebrate World Fair Trade Day, Fair Trade Pasadena will have a outreach table located at Ten Thousand Villages Pasadena on May 12, 2018. A demonstration will take place by a local artisans group to show support and discuss how simular support reaches thousands of global artisans through fair trade. While engaging the community on fair trade practices, principles, and taking this unique opportunity to recruit new members to help bring continuous awareness to fair trade. Join us at WHEAT’s Fair Trade Store and take a tour of the world, celebrating Fair Trade. 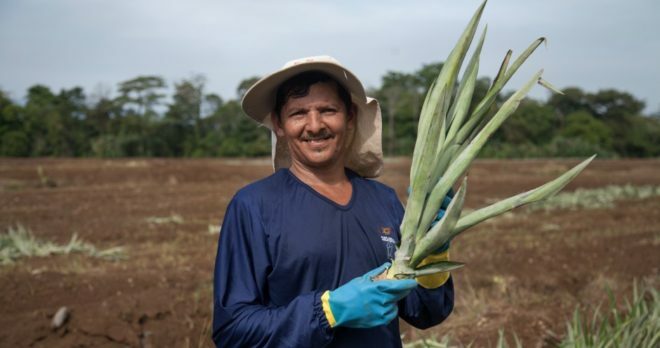 Learn about the artisans, farmers and cooperatives that are feeding their families thanks to purchases of their quality foods and handcrafts. 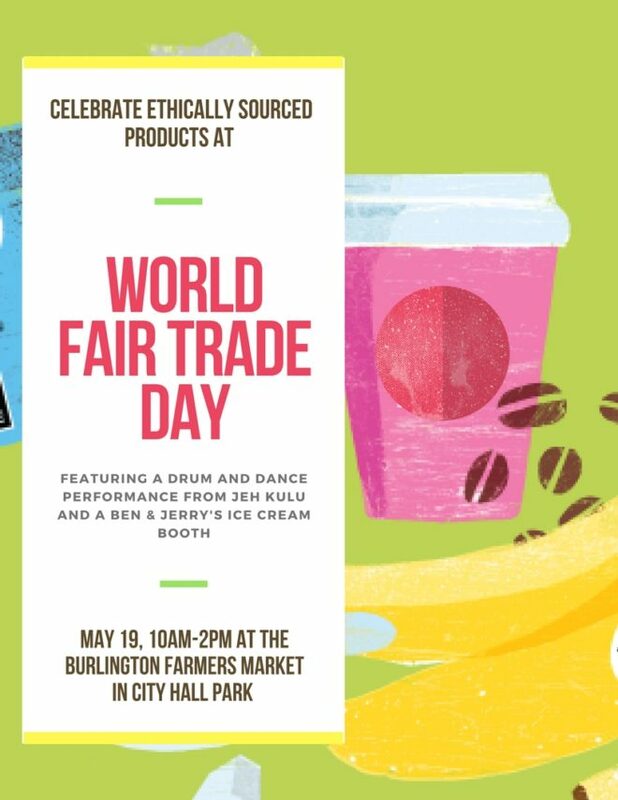 Celebrate with a Fair Trade Tattoo (temporary), iced coffee and scrumptious goodies made with fair trade ingredients. Celebrate World Fair Trade Day with us at One World Shop! We’ve been bringing fair trade products and principles to Cleveland since 1979 but once a year we get to celebrate in a GLOBAL way! Join us for music and fun in support of our artisans, our mission and our values! 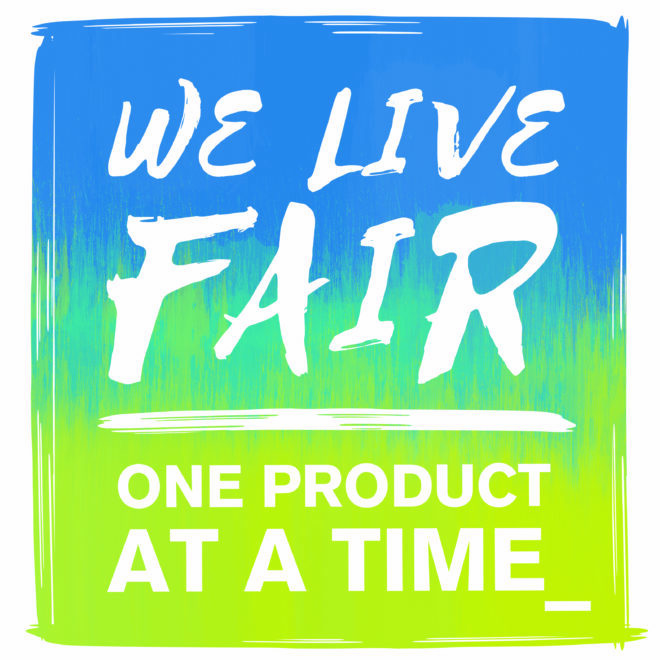 This year’s theme is #LiveFair – One Product at a Time! How will you add or swap one of your favorite products to benefit and support others through fair trade standards and certifications? Join us for a day of fun and games as we celebrate Fair Trade. The day will be jam packed with interactive activities to help broaden your knowledge of Fair Trade all while having fun and winning prizes! Other activities include a drum and dance performance by the West African dance ensemble Jeh Kulu at 1pm along with a Ben & Jerry’s ice cream booth from 12-2pm. Looking for a World Fair Trade Day event near you? Check out our Facebook page for dozens more events across the country! There’s still time to organize an event! Plan a bake fair at your school, table at your local Farmers’ Market, or host a film screening in your community. Looking for ideas for fun and informative Fair Trade events? Check out our event guides for hosting a Fair Trade Fashion Show or a Roast-N-Roll coffee tour. And if you can’t attend or organize an event this year, there are still simple ways for you to get involved and show your support on May 12. Sign up for the World Fairtrade Challenge, as a group or an individual. Start a conversation with a friends, family, colleagues or classmates about the importance of Fair Trade. 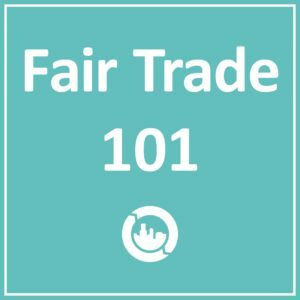 We have a Fair Trade 101 guide to help you get started. Try a new Fair Trade product, or enjoy an old favorite. We’d love to see how you celebrate! 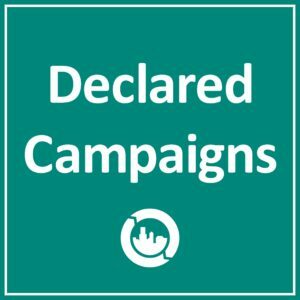 Tag us @FTCampaigns or use #FTCampaigns. However you mark the occasion, thank you for your commitment to making the world a better place, one purchase at a time.